Time flies ... it's like sand that flows through my fingers ... a new week has come for Haiku Shuukan. This week I have a nice prompt for you to use for your inspiration. This week's prompt is Persimmon. Persimmons are the edible fruit of a number of species of trees in the genus Diospyros. Diospyros is in the family Ebenaceae. 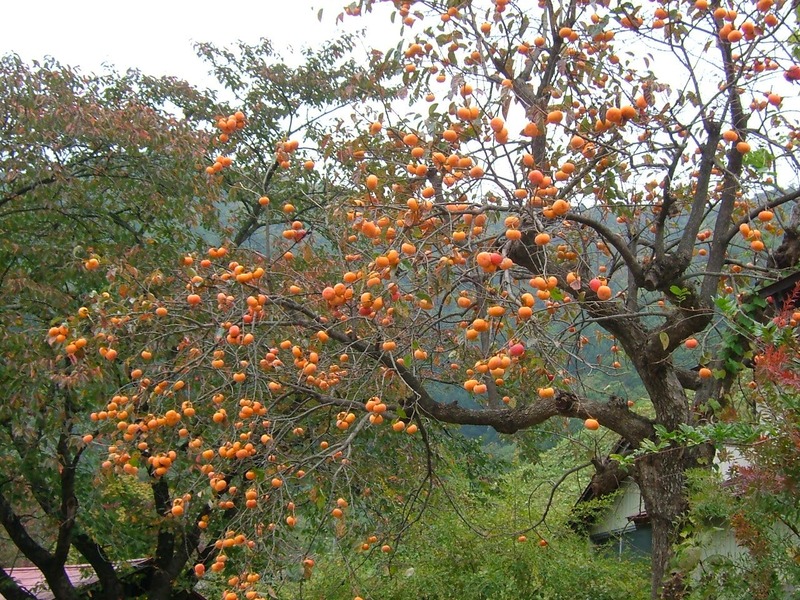 The most widely cultivated species is the Asian persimmon, Diospyros kaki. In colour the ripe fruit of the cultivated strains range from light yellow-orange to dark red-orange depending on the species and variety. They similarly vary in size from 1.5 to 9 cm (0.5 to 4 in) in diameter, and in shape the varieties may be spherical, acorn-, or pumpkin-shaped. I am really not familiar with this fruit, so I think I will pass this week and will not write a haiku here inspired on Persimmon. This episode is open for your submissions at noon (CET) and will remain open until next Friday. Have fun, be inspired and share your haiku with Haiku Shuukan. Finally -- that persimmon poem I've owed you for a long time.